Home / Mattresses / Why should I buy my next mattress from Delano’s Furniture and Mattress? It’s simple. Over the past 40 years, we have found companies that make the best mattress sets available. The traditional mattress sets as well as the adjustable foam mattresses and bed frames in our showrooms are all made right here in the United States. We carry the ‘Almost Heaven’ brand made by Imperial Bedding Company for a few reasons. Not only are the mattresses made right here in West Virginia, but Imperial is the only company to manufacture the super premium T-Coil 8” innerspring and premium 6” Matrix RC® alternating innerspring systems. Why does this matter? The materials inside each mattress are just as important as the plush accessories that cover the mattress. 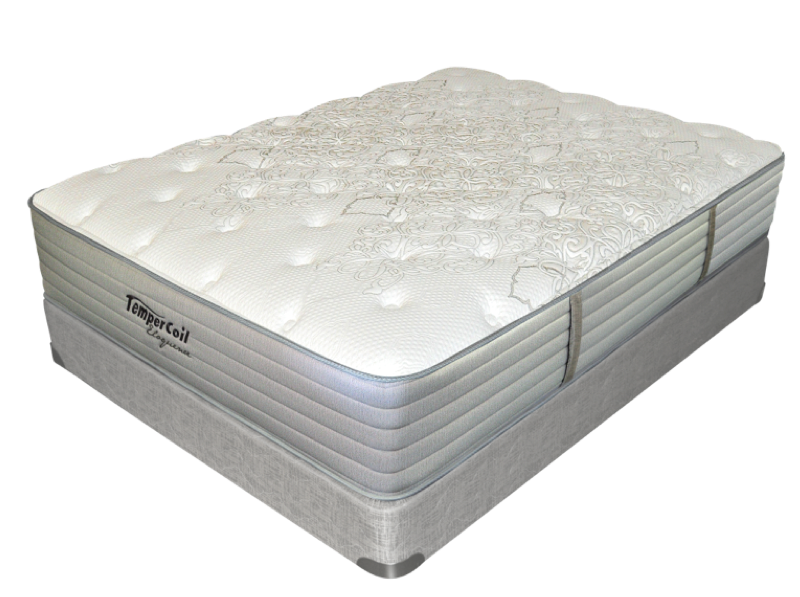 The Temper-Coil 8” innersprings are individually wrapped to allow for distribution of weight without a “ripple effect” across the rest of the mattress. As your body relaxes and adjusts while sleeping, your movements are contained to the coils directly below your weight, which in turn, will not disturb your partner. These innersprings are also slightly compressed to make sure they are able to remain tight, which helps reduce the amount of sagging compared to other mattress brands. In addition to the innersprings, the premium two-sided design also reduces the tendency for mattresses to sag. When customers are able to rotate and flip their mattress, the life of the product is extended up to four times longer. Over time, all mattress sets will show some signs of wear, but the quality of foam used in the pillow top cushioning is key to extending the life of the mattress. 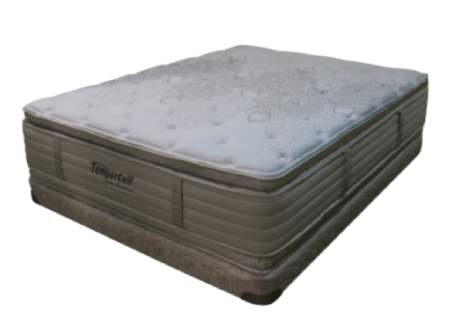 Imperial uses a high resilient foam instead of filler materials such as convoluted foam and high loft fiber that you may find in other brands of mattresses. Imperial is also able to offers 10 or 20 year limited warranties on their brand. Did you know… Delano’s is the Exclusive Retailer for the ‘Almost Heaven’ collection of Imperial Bedding mattresses. Each of the ‘Almost Heaven’ mattress sets feature the high quality of Imperial Bedding components. In addition to the traditional mattresses, we also carry the Perceptive Sleep® Pro-Foam brand of foam mattresses and adjustable frames. The Perspective collection is created by HSM Bedding Solutions, and made within the United States. This line offers a complete customized mattress built with foam core, and can be used to lay flat, or with an adjustable bed frame.